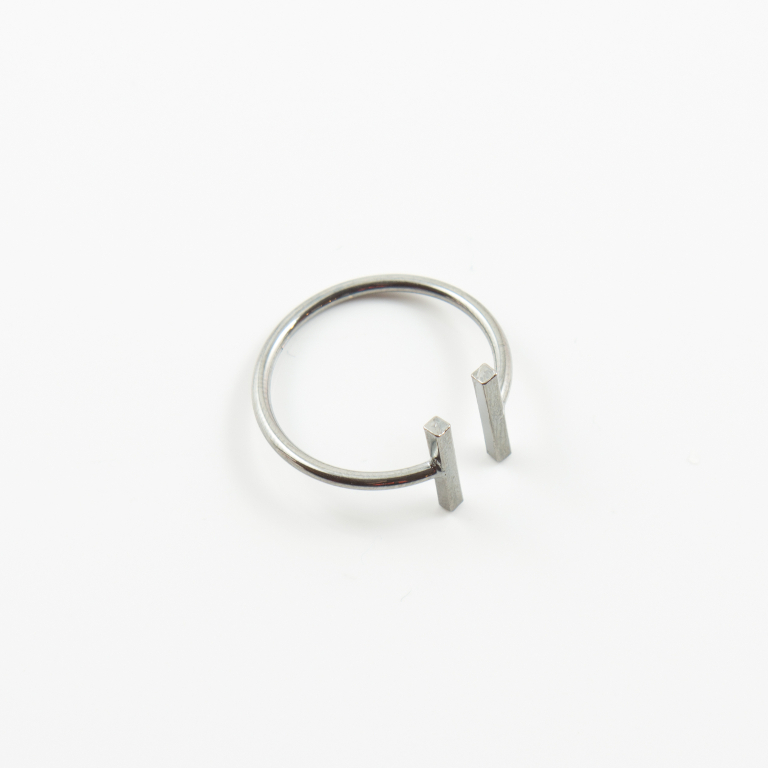 Metal ring with bars design in black color. On the bottom side of the shank it has a gap so it can fluctuate its size. Diameter 2cm.